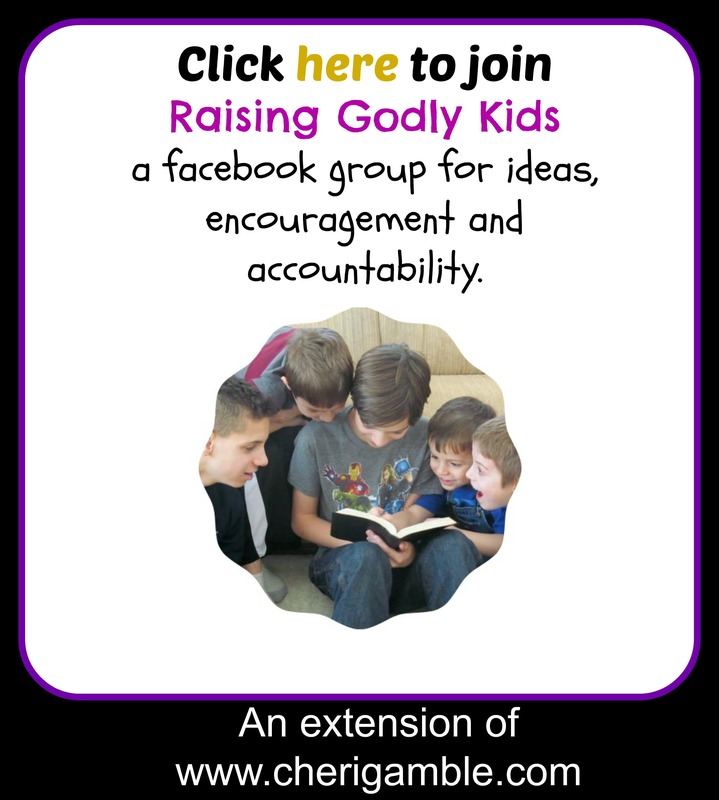 Free Lesson over bold faith from Bold: A 10 Week Study for Families and Churches. Includes ideas for games, crafts, snacks, a Bible lesson, a Bold Believer Biography and more! I would like to introduce you to my new 10 week Bible curriculum for families and churches. This study is called Bold:A 10 Week Study for Families and Churches, and it is based off the Bible Reading Plan for Summer 2017. Each lesson contains an opening skit and activities, a strong Biblically solid lesson, a Bold Believer Biography, and additional activities to reinforce the lesson. Topics covered include bold love, bold faith, bold service, bold giving, bold prayer, bold actions, and more. Bold biographies include such heroes of the faith as George Mueller, Hudson Taylor, C.T. Studd, Martin Luther, William Wilberforce, and Brother Andrew. Following is a free sample lesson from this study for you to use with the kids in your life! I hope you enjoy it . . . and that you will consider purchasing the entire study. Thank you! Leader: Welcome to week two of our BE BOLD series! Adult: (hobbling in, talking like an “old person”) Wait for me! I’m here! I’m coming! Leader: What in the world? What are you doing? Adult: I’m here for the Be OLD series! It took me awhile, but I got myself all dressed up and I am ready to Be OLD with you! Leader: Be old with me? What are you talking about? Adult: The series we’re doing with the young’uns! Be OLD! Now, I admit, I thought it was kinda strange at first, but I guess I can see the value in it. After all, there are a lot of OLD people in the Bible. Who are we going to learn about first? Leader: We’re not going to learn about the old people of the Bible! Our theme is not Be OLD, it’s Be . . . Adult: Eh? What was that? Can you speak a little louder and clearer? I’m having trouble hearing you today. Leader: I said, “Our theme is not be OLD, it’s BE . . . Adult: Now, wait a minute you young whipper-snapper. I don’t quite appreciate the tone you are using with me. Back in my day, if a young-un talked to his elder that way, he’d be . . .
Leader: His elder? You’re not my elder! And what’s with this crazy outfit, the theme is not be OLD, it’s Be . . . Adult: (Straightening up and talking in his normal voice) Come on, I worked really hard putting all this together to follow our theme of Be OLD! Some of us have to work harder than others to fit in with this theme! Leader: (speaking very deliberately and loudly) Ok. Listen to me. Listen very carefully. Our theme is not BE OLD, it’s BE BOLD. BOLD! B . . B . . B . .
Leader: Now, why don’t you go change out of that crazy outfit you have on and join us for the rest of the day. I’m sure I can find something for you to do. Adult: Okay. I’ll go change out of this. But what about you? Leader: What do you mean “what about me”? Adult: Aren’t you going to change out of your outfit, too? After all, the theme isn’t BE OLD, it’s BE BOLD? (short pause) Oh, I forgot, you can’t change out of your outfit! That’s your natural look! Another adult should come forward and lead the kids in “Be Bold, Be Strong” (or whatever song you are using as a theme song) at this point. Say: In this game, there were several obstacles you had to go through to get to Jesus. It would have been easy to have gotten discouraged and to have given up. Sometimes there are obstacles in our life, too, but we need to keep going . . . to push through those obstacles and to reach out to Jesus. We need to have BOLD FAITH! Choose a few kids or adult volunteers to come up front and try this activity or, if time and space allows, let all the kids try. Have the volunteers stand in front of a table with their arms behind their backs. Say: You are going to have an opportunity to have a special treat today – a banana split – but there is one important rule you have to follow. You must keep your hands behind your back at all times, and the only part of your body that you can use to make and eat your banana split is your neck on up. Place the following items in front of your volunteers: a small bowl of vanilla ice cream, a banana (still in the peel), a small cup of chocolate syrup and a small cup of sprinkles. When you give the signal, each volunteer must open the banana, put it in the cup of ice cream, add chocolate syrup and sprinkles and then eat the snack. Make sure you have a camera ready to record this activity! What was the hardest part about this activity? What do you think it would be like if you could only use your neck and above for every activity you had to do? What would be the biggest challenges you would face? Say: Today’s Bible lesson is about a person who was paralyzed – that means he couldn’t move all of his body. It’s quite possible that he was only able to move his neck and head. Life would have been very tough on him . . . but we are also going to learn how someone’s BOLD FAITH changed everything in this person’s life! 3. Object Lesson: Beforehand, squeeze the juice of half a lemon into a bowl. Add a few drops of water and stir it together. Dip a cotton swab into the mixture and then use it to write the word “Faith” on a white piece of paper. Set the paper aside and make sure it dries completely before you use it with the kids. Take out several pieces of white paper, the one with the secret message included. Say: What would you say if I said that there was a secret message on one of these papers? Would you believe me? Discuss. Say: Well, you are just going to have to believe me when I tell you that one of these papers has a secret message on it. In fact, the secret message is on THIS one! (hold up the paper with the word on it). Do you believe me? Sometimes we have to believe things that we can’t always see. When I flip on the light switch, I have to believe that the light will turn on, even though I can’t see the electricity itself. Choosing to believe in something that you can’t see is called FAITH, and today we are going to talk about what it means to have BOLD faith. Hold the piece of paper over a flame or candle (be very careful not to burn the paper) until the message reappears. As the lemon juice warms up, it should show the word. As this is happening, say: God wants us to have faith in Him . . . a faith so strong that we are willing to do anything for Him and that we trust Him with everything. When things around us start to heat up and get difficult, our faith shines through. Show the word on the paper: FAITH. Today we are going to talk about what it means to have BOLD FAITH. Beforehand, prepare a “centurion helmet” and gather a bunch of post-it-notes and pens. Hold the centurion helmet up in front of the group. Say: This is a helmet that I want you to imagine was worn by a Roman Centurion from long ago. This centurion was in charge of many people. He made sure that his group was ready to do whatever was expected at a moment’s notice. Each person in his group knew that they must obey what he told them to do. If he said to “jump” everyone in his group would jump. If he said “spin around in a circle” everyone in his group would spin in a circle. He was in charge and, if you were in his group, you had better do what he said! How well do you think you could obey a Roman Centurion? Let’s play a little game to find out. Play a quick game of “Centurion Says”. Whenever you say “Centurion Says” the kids have to do what you say. If you give them a command without saying “Centurion Says”, they should not obey. Wear the helmet while you are pretending to be the centurion. You might also choose to let a couple of the kids take a turn being the centurion as well. Whoever is wearing the helmet is the centurion and must be obeyed! When you are finished playing the game, have all the kids sit down. Say: You did a great job playing this game. Now, let’s see if you can listen well and do what I say during the rest of this lesson. Every time I say, “Centurion says” followed by an instruction, you have to do what I tell you to do. Do you think you can do that? Great! Let’s start the lesson. Today’s lesson is about one particular Roman Centurion and how he showed BOLD FAITH! The centurion in today’s lesson heard about a man named Jesus. He heard that Jesus could heal people – that he made sick people well and lame people walk again. He knew that if he could get to Jesus, Jesus could heal his servant! So, the Centurion walked to where Jesus was. Centurion says “move your legs up and down like you are walking”. When the centurion saw Jesus, he said, “Lord, my servant is lying paralyzed at home, fearfully tormented.” Jesus said to him, “I will come and heal him”. Jesus was willing to go to the Centurion’s house and heal his servant! That’s great news! Centurion says, “Clap your hands and cheer”. But do you know what the Centurion did next? The centurion said, “Lord, I am not worthy for You to come under my roof, but just say the word, and my servant will be healed. For I also am a man under authority, with soldiers under me; and I say to this one, ‘Go!’ and he goes, and to another, ‘Come!’ and he comes, and to my slave, ‘Do this!’ and he does it!” The centurion knew that all Jesus had to do was say the word and his servant would be healed! The centurion had BOLD FAITH! When the centurion got home, he discovered that his servant was completely healed! The centurion had BOLD FAITH and Jesus rewarded that BOLD FAITH by healing his servant! We need to have BOLD FAITH, too! We need to trust God no matter what! Are there areas where it is hard for you to have faith? Do you need to ask Jesus to give you faith like the centurion in today’s lesson? Give each child a post-it note and a pen. Have them write one area where they need to have bold faith. Encourage them to write it in one word. (Examples include the following: home, school, money, food, doctor, etc). When the kids have written their one word that represents where they need BOLD FAITH have them bring the post-it notes up front and stick them on the helmet. Spend a few moments praying for the kids using the words that they wrote as a guide. or use the following narration to tell the story yourself. Say: When I think of someone who had BOLD FAITH, I think of a man named George Mueller. George grew up in Germany in the early 1800s, and he wasn’t really a very nice kid. He would steal from people – he even stole from his own parents – and he liked to make fun of Christians. One day, he went to a Bible study. The reason he went was to make fun of the Christians, but God had other plans for him. The words he heard at that Bible study changed his life, and he became a brand new person! He was 100% on fire for Jesus! orphanage . . . he simply took everything to God in prayer and trusted God to provide. One day, the orphanage was completely out of food. The kids were hungry, but there was nothing to feed them! George had all the kids sit at the dining room table and then he prayed, thanking God for the food He was about to provide. The thing is – there was NO FOOD in sight! What would they do? Well, guess what happened next? There was a knock on the door. When George opened the door, he saw the town baker standing at the door with a basket of bread. (take out the bread). The baker told George that he had woken up in the middle of the night feeling that he needed to bake some bread for George and the orphans! He baked the bread at 2 in the morning and brought the bread to the orphanage right when it was needed! George Mueller had BOLD FAITH! He trusted God with every detail of his life, and God took care of him! God will take care of you, too! Will YOU have bold faith? Optional: pass out the bread and milk as a snack for the kids to eat while they watch the video mentioned below. 1. Make an “invisible ink” painting. Have the kids make their own invisible ink using baking soda and water. Then have them draw a design using this invisible ink on white paper and set the paper aside. Later in the day, after the paper has had time to dry, pass out the white paper (make sure everyone gets a different paper from the one they made). Give the kids grape juice concentrate and have them paint over the paper to reveal the secret message. Remind the kids that, even though we can’t see God, we need to have faith that He is there and that He will take care of us! 2. Make homemade bread and/or milk shakes to remind the kids of the BOLD FAITH of George Mueller. 5. Teach the kids the song “His Eye is on the Sparrow” and sing it together! I feel so blessed and special that I can thank you so much for the gifts that you offer from your heart! Thank you so much. I am just getting started with a small class for my Children Church and you have helped me in a big way! I can not thank you enough and may God richly bless you! For information, I got your information from Pinterest. Thanks for sharing this! May God bless you as you serve Him in such an important way! !